If you like salmon, pesto, and easy-to-cook meals then this recipe is for you! This is my favorite way to eat salmon, and it is so simple. You can either use store bought pesto to make things easier, or make your own (it can be hard to find dairy-free pesto if you’re trying to avoid cheese). Grilled asparagus or your favorite green salad are great sides to pair with this dish, or you can use up whatever veggies you already have in the fridge! – 1 fillet of salmon, rinsed and patted dry. Bones removed. – 1 cup pesto (my recipe for homemade pesto can be found below). – Optional: 1/3 cup shredded parmesan cheese. – Place salmon fillet on large piece of aluminum foil (big enough to wrap the salmon in). Season with salt and pepper. – Spread pesto evenly over top of salmon, then wrap the foil around it (not too tightly, you want the heat to be able to circulate well). – Place on baking sheet and bake for 20-25 minutes (cooking time may vary and depend on your desired degree of doneness). – Optional: Once salmon is nearly done, remove from oven and switch to broil. Unwrap foil and sprinkle the parmesan cheese on top. Leave foil unwrapped and broil on top rack for 1 minute. This will give you a nice parmesan crust! 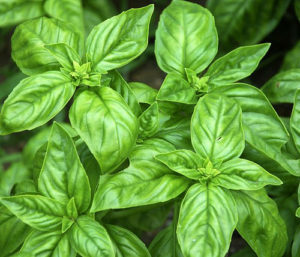 – 2 cups packed fresh basil. – 1/3 cup pine nuts. – 1/2 cup extra virgin olive oil. – Place all ingredients except the olive oil in a blender or food processor and blend to desired consistency while slowly adding the olive oil.